Back in 2015, American Pharaoh broke the dry spell by winning the triple crown after a 37 year wait since Affirmed won the crown in 1978. Both Justify an American Pharaoh were fed Hallway Feeds, a Kentucky Equine Research partner. 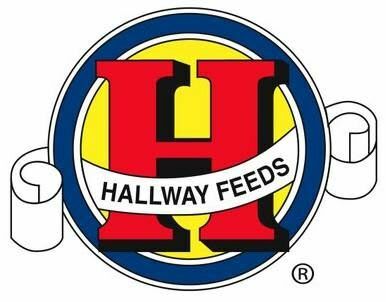 Bluegrass Horse Feeds is proud to work in conjunction with Hallway Feeds, together providing scientifically formulated feeds designed to provide the essential energy levels and stamina for the success of these champions. Bluegrass Horse Feeds shared their success having fed three Grand National winners in 2018 and over 250 winners on the track. Jusitfy was fed on Race 13, this mix is specifcically desinged to provide a high energy source with premium vitamins and minerals to promote muscle development and recovery. It is made up of three races – Kentucky Derby, Preakness Stakes and Belmont Stakes. The Kentucky Derby was established in 1875 and is usually held the 1st Saturday in May at Louisville, Kentucky. At 1.25miles in length, the winners are presented with a blanket of roses, known as “Run for the Roses”. Preakness Stakes was established in 1873 and usually held on the 3rd Saturday in May at Baltimore, Maryland. At 1 3/16 miles, the winner is presented with a blanket of black-eyes susans. Belmont Stakes is the oldest of the three races, established in 1867. Usually held on the 1st or 2nd Saturday of June. It is also the longest race with 1.5 miles long, known as “The Test of Champions”. The winner is awarded with a blanket of 300 – 400 white coronations. Back in 1973, Secretariat won the Trip Crown and set the unbeaten world record of 2:24 in the Belmont Stakes. Justify is the only triple crown winner to have never been raced as a 2-year-old but had 6 victories in his first year of racing including the Triple Crown. 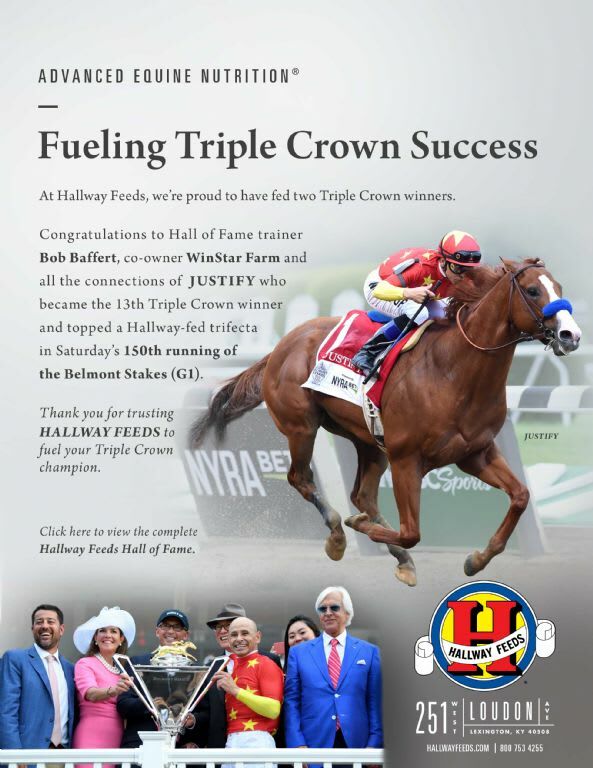 The Bluegrass Horse Feeds team would like to congradulate Jockey Mike Smith, owner Kenny Troutt and to all connections involved.